Note: With the increasing use of a smartphones to read email, some aspects of image mapping that may affect their usability on older phones. Always test! But in most situations, slicing up an image leads to nothing good. It increases the HTML size and, since browsers only make a few requests at a time, it can slow down the rendering time for the image. When a single large image is requested, the data is sent continuously as fast as the server can send it, and with as much bandwidth as you or the server can provide. When there are multiple images, the browser can simultaneously request several of them at once—between 2 and 8 simultaneous requests are allowed from the browser at once, depending on the browser. But this is for all resources on the page, not just the images, so if you’ve split an image into 4 or more pieces, the browser must receive the first bit of data, then turn around and make another request for more data. Each request has a round-trip time that mathematically must be longer than the time for a single request. This process also creates more opportunities for problems to slip into the process. The finished image must be assembled in a table, and if any cell in the table has a problem, it can throw the entire image out of whack. We’ve all received emails with misaligned sections and unwanted gaps in an image where someone forgot to add style=”display: block;” to one of the img tags. Some people and even some email blogs recommend slicing up an image to help avoid loading problems in various email programs, but if the image really is big enough to create problems of this sort, it is already bigger than it should be. You would be better advised to reduced the size of the image using an image compression tool such as RIOT, which does a good job of dramatically reducing file sizes without much image deterioration. So how can you achieve the same thing without slicing your image into dozens of pieces? Try image mapping. You’ve may have read from past blogs and other sources that image mapping is problematic in email and you shouldn’t use it. “Don’t use image maps,” one website states bluntly. “They are not fully supported across all email clients.” While there may have been some merit to this argument a few years ago (that particular post goes back to 2007), today, image maps work virtually everywhere. Unless you happen to have an unusually large number of customers using Outlook 7, your recipients should have no trouble viewing or clicking image-mapped graphics. 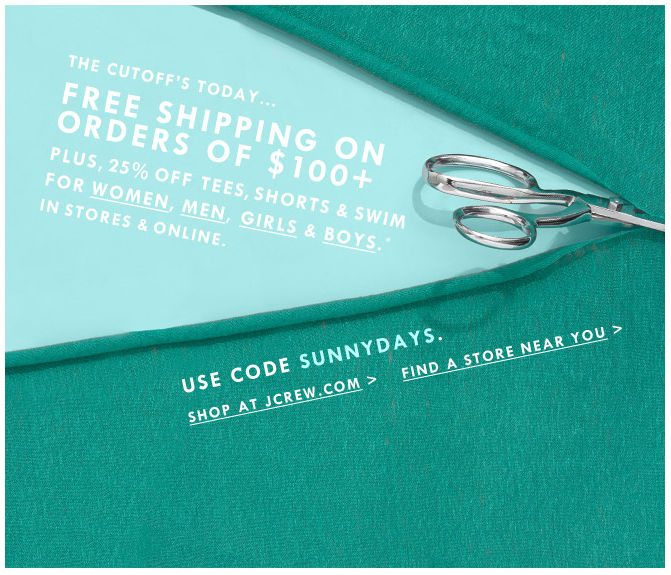 In this example, the image itself links to the home page, as do the “Bright New Arrivals” text at the top and “shop now.” The man and woman link to their appropriate pages. Yes, these sometimes disappear after the image is loaded, but they do help provide links in email clients where the image is blocked. The more complicated your image maps are, the more HTML is needed to render them. It is possible (although highly unlikely) to create an image map that is so complex that you’ll end up with an email file as large as the ones created by sliced images. The image maps shown above are not exactly simple polygons, and yet they still resulted in substantially smaller HTML files than the ones using sliced images. In the case shown above, two of the image-mapped sections go to the same place as the image’s root link. In this way, if the browser does not respond to the image’s link after the image map is loaded, that page is still accessible. 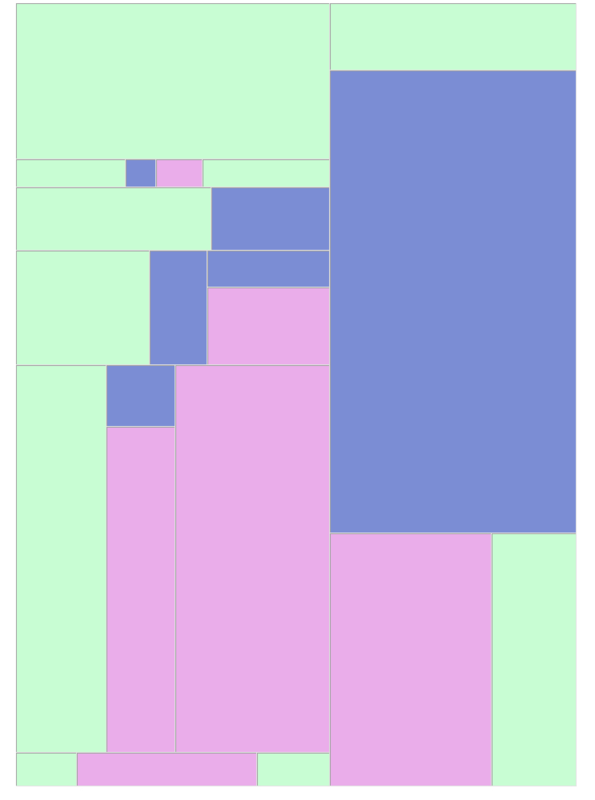 If we wanted to be really thorough, we could have blanketed the image with mapped links, but this is often overkill. In 2014, it came to our attention that image maps were exhibiting some strange behaviors on smart phones. On iPhones, the image and the image map had to be restrained in a table to function properly, and on Android phones the image map was reducing to half its size, rendering it useless. Our recent tests have shown that these problems have been fixed. People using older phones might experience problems, however, so its a good idea to keep track of your subscriber base to make sure they are seeing your emails the way you intended. For more information on both image slicing and image mapping, download a free copy of our Email Image Linking Guide, which includes detailed instructions for creating images slices in Photoshop and image maps in Dreamweaver. Available here. So go ahead and use those image maps. Are you using them already? Have you done any deliverability tests with image maps versus sliced images? We’d love to hear your findings. Is there a reason we haven’t addressed here why you do or do not use image maps? Drop us a line and let us know. This entry was posted in Design, Email marketing, Trends and tagged cell alignment, Dreamweaver, image compression, image map, image slicing, image tables, Photoshop on April 17, 2013 by Jim Morton. Very creative topic and great insight! Thanks and congrats on your new blog! It looks like it is going to be a valuable resource. Thank you, Jim – We sure hope so! Thanks, Tom. I appreciate that! If you get a chance, you might want to check out our guides and white papers on the Goolara site. They cover a lot of what we discuss here, but in much more detail. I know I ‘m a few years late, but this post was quite useful. Thank you. There is not a whole lot of information out there comparing image mapping vs. slicing and how browsers react to both, and the info that is out there (as you pointed out) is painfully outdated. 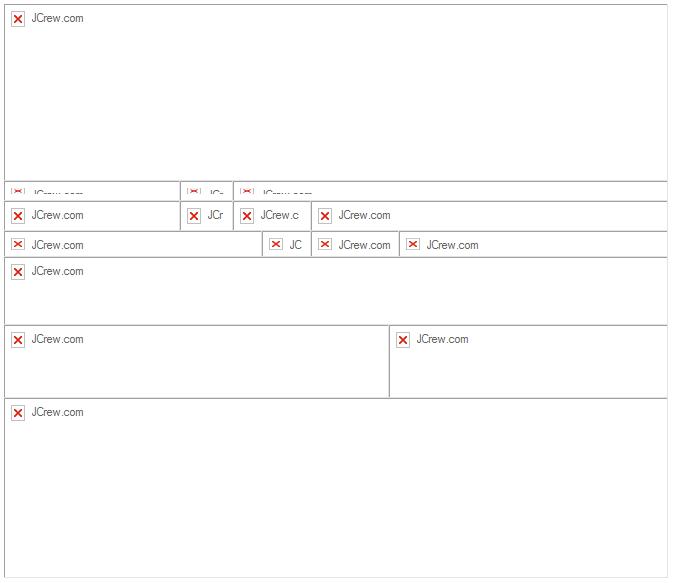 I was hesitant to build an email mock-up handed over by our graphic designer that was requiring a lot of link embedding/mapping into images because I remember how much of a problem that used to be for browsers even 4-5 years ago. But reading your blog helped ease my mind. Thanks, Ty. It’s easy to see why much of the information available on the Internet is outdated. I had to edit that article three times to keep it current. For a while, image maps weren’t working well with smart phones, but that no longer seems to be the case. For more information on the subject, check out our Email Image Linking Guide. Personally I have not had successful results in Outlook desktop clients when using image mapping. Additionally, I’d like to know how you address the accessibility issues mapping presents for viewers with certain disabilities and/or visual impairments. Thanks Melissa! We’ve successfully sent image maps to Outlook, but image maps is one area that seems to change constantly. It’s possible that something that worked a few months ago is no longer working and vice versa. As always, test, test test. I don’t know if image maps are identifiable by any software for the visual impaired, but my suggestion would be to make sure that your text version of the email eliminates any problems visual information might present. That sounds like it might make a good topic for a future blog article! Thanks for this! Seems to work great (as of 1 MAR17) on various mobile and desktop platforms.